Who’s the voice behind Eugene and who exactly is Bogg Dann? 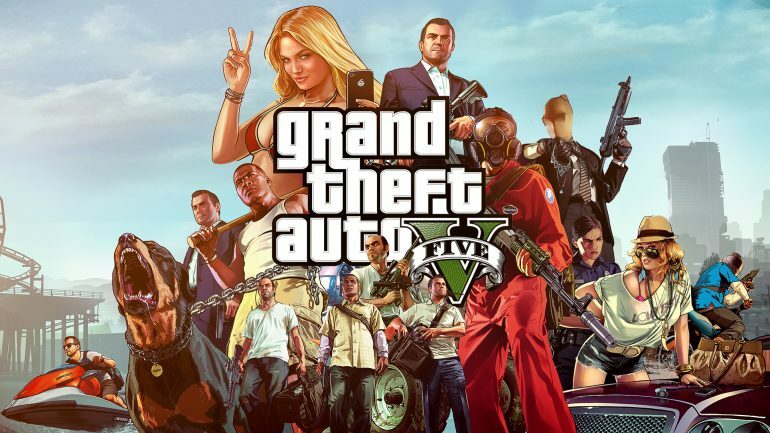 Over the past few weeks, Grand Theft Auto V roleplaying servers have exploded in popularity. Some of Twitch’s most well-known streamers have joined in, making GTA V one of the most popular games on Twitch in March. As GTA V roleplaying continues to expand, it may get confusing keeping up with all the new characters on the servers. As new people join the server, more and more characters are being created. From some of the biggest names on Twitch, like Saqib “LIRIK” Zahid, to the smallest streamers, here’s where you can find some of the most popular NoPixel GTA V roleplaying characters. Ssaab plays a variety of characters on NoPixel, but he’s most known for Al Saab. He represents one of the founding members of the Leanbois gang. Saab is typically involved in a life of crime and works closely with Avon Barksdale, Lang Buddha, and others. While Lirik doesn’t play GTA V roleplay consistently, he’s returned to one of his original characters—Avon Barksdale—repeatedly throughout his time streaming on Twitch. Barksdale founded the Leanbois gang and recruited others to join the criminal organization. While Barksdale often has intricate plans to break the law, like bank robberies, he often falls short. Pokelawls isn’t a mainstay in GTA V roleplay, but recently, he’s joined other popular streamers in the game. By day, Bogg Dann is a taxi driver, and by night, he serves as a hostage of the Leanbois gang. Although Dann isn’t a member of the Leanbois gang, he’s occasionally involved in crime himself. KylieBitkin has been predominantly streaming GTA V roleplay since she first joined Twitch a year ago. She’s studying to be a police officer and plays the convincing character of Brittany Angel. In a world full of crime, Angel does her best to lock up the perpetrators. She’s a police officer with the Los Santos Police Department. Summit1G recently returned to GTA V roleplay and helped start the trend on Twitch. In Los Santos, Summit1G plays one of the more dangerous criminals, Charles Johnson. It’s unwise to make enemies with Johnson. He’ll do what it takes to get revenge, even if it means a drive-by shooting. Even though he’s mostly known for playing Fortnite or World of Warcraft, TimTheTatman is another popular streamer who’s jumped into the world of GTA V roleplay. Although he’s new to the server, TimTheTatman plays as Dale Morris—a character who’s pretty similar to him. You’ll typically find Morris driving a jeep around Los Santos. Similar to LIRIK, Shortyyguy has been around GTA V roleplay longer than some other streamers. In Los Santos, you’ll often find Shortyyguy playing as Eddie Delish. Delish isn’t a proclaimed criminal or one of the brightest characters, but he still finds himself often mixed up in gang warfare or high-speed police chases. Vedar predominantly streams GTA V roleplay where he has numerous characters. In Los Santos, you’ll often find him bumbling around as Eugene. Eugene is an elderly war veteran who often rambles on in a conversation, and he’s a member of the Prune gang. The gang is comprised of elderly characters in GTA V and Eugene is one of the leaders. When Eugene isn’t mixed up in criminal plots, he’s typically wandering Los Santos on a bike. Kitboga grew a following on Twitch from his scam bait streams and the characters he uses to coax on scam phone callers. As GTA V roleplay picked up traction, Kitboga brought one of his most popular characters—Granny Edna—to Los Santos. Granny Edna tends to spend a portion of her time looking for her missing cat or conversing with Eugene. Despite the prominence of crime in Los Santos, Granny Edna often questions others if she’s involved in a scam. Over the past year, xQc has risen in popularity on Twitch as a variety streamer. Formally a professional Overwatch player, he’s now a full-time streamer. With GTA V roleplay gaining popularity, xQc has jumped on the bandwagon as Jean-Pierre. In Los Santos, Jean-Pierre is a bit of an outcast who’s often involved in criminal activities or attempting to land a date. In the past, Sodapoppin has been involved with GTA V roleplay. With the game’s return to popularity on Twitch, he’s back as one of his original characters, Kevin Whipaloo. Although Whipaloo isn’t a self-proclaimed criminal, he has the tendency to get wrapped up in violence. Despite being one of the smaller streamers who consistently plays GTA V roleplay, MiltonTPike1 plays perhaps one of the most unique characters. While some may question if Kiki Chanel is transgender, she’s adamant her masculine appearances are due to steroid abuse when she was formerly a bodybuilder. She owns Kiki’s Organic Clothing and although she isn’t a true criminal, she often has fits of rage attributed to mental health issues. Buddha plays one of the most notorious characters in GTA V roleplay. Lang Buddha is one of the original members of the Leanbois gang and works very closely with other gang members like Saab and Barksdale to pull off crimes. Ranging from pushing narcotics on the streets of Los Santos to holding up banks, Buddha is usually in the middle of it all. CaptainMurphy is another smaller streamer who spends most of his time in GTA V roleplay. Playing as Murphey Braun, a lawyer, he’s represented some of the most dangerous criminals in Los Santos, like Barksdale and Buddha. Despite being a lawyer, Braun isn’t afraid to make a deal if it means he’ll pocket some extra cash. Koil is a manager and programmer of the NoPixel server and is often found in the game playing a multitude of characters. Typically, though, he’s patrolling the streets as Otto Delmar. As a member of the state police, Delmar usually has his hands full stopping crime. While Forsen has played GTA V roleplay in the past, he’s returned once again to the game. Playing as one of his original characters, Sven Snunsberg has a hard time avoiding conflict. While he isn’t part of the Leanbois gang, he’s occasionally wrapped up in the gang’s schemes. Greekgodx is another returner to the GTA V roleplay scene. He’s back playing Tay Tay Tyrone, a homeless man who suffers from drug addiction. Since Tyrone is typically on drugs, it’s hard to know how he’ll react to what happens around him. Due to his nature, he’s sometimes targeted by the Leanbois gang or other characters. Although MOONMOON_OW gained prominence on Twitch with his skill at Overwatch, he’s played GTA V roleplay before. He’s returned as his character Yung Dab, an older man who thinks he’s meant to be a rapper. Dab usually holds true to his namesake and dabs on people during conversation. Ziggy mainly plays GTA V roleplay and acts under a variety of different characters. Typically, you’ll find him playing as Ziggy Buggs, a sheriff with Blaine County. Buggs isn’t afraid to chase after some of the most notorious criminals in Los Santos. From the Leanbois gang to petty crime, Buggs is usually at the scene.